Quality drives our decisions as a company and the daily work of our employees. Beginning with our co-founder, Mark Slagel, working hands-on with local farmers and his own farm with his brother and co-founder, Don Slagel, Slagel Manufacturing has grown into a fixture in the community and a trusted provider of precise metal fabrication in Central Illinois while serving businesses across the country. 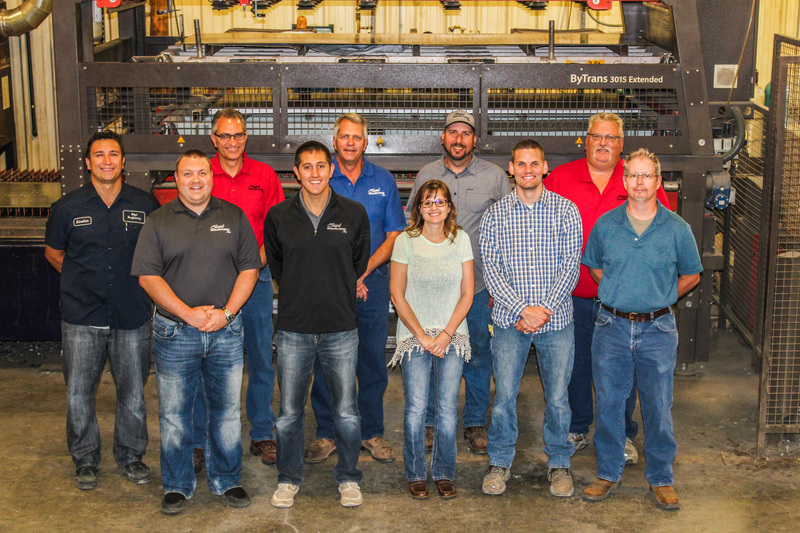 We welcome you to meet the Slagel Manufacturing Inc. team. Hartzell Kaeb, Director of Operations, KSi Conveyors Inc.
“The only thing I’m more proud of than the quality work we provide on a daily basis is the group of talented friends who come to work with me each day at Slagel Manufacturing. My job as the President of the company is to take care of my staff, who are dedicated to providing the best service to the businesses and individuals we work with. “I grew up in Central Illinois and have been encompassed by farming since the day I was born. Living on a dairy farm taught me about hard work and having a strong work ethic, not to mention the importance of a good cup of coffee. I enjoyed working on farm equipment, which led me to become a mechanic for many years. Later, I moved into the position of service manager at a farm equipment dealership where I scheduled service appointments and oversaw technicians. With an entrepreneurial spirit, a desire to invent, and work for myself, I joined my brother as co-owner and vice-president of Slagel Manufacturing Inc. in 1996. “I began at the company in the cut-off department and ran a number of different machines while working my way up into logistics. After several years and a lot of hard work, I was promoted to manager of the logistics department. I’ve spent most of my time at Slagel Manufacturing in logistics and specialize in working with production and scheduling to ensure quality parts in a timely manner for our customers. “I was born right around the time my uncle and father founded Slagel Manufacturing and I have truly grown up with the company. I can remember when they hired their first employee and I have seen the company evolve over time into what it is now. The one aspect that makes me the most proud to be a part of Slagel Mfg. is the company culture. The feeling that everyone is family is the same now as it was when the company had two employees. There has always been that feel to Slagel Manufacturing and our family of employees work together to accomplish the task at hand, whatever that task may be. Slagel Manufacturing, Inc. will endeavor to produce parts to customer specification every time and continually improve the effectiveness of our quality management system. Slagel Manufacturing, Inc. will continue to reduce production defects and improve on time delivery.